The Board of Governors at Sedgefield Hardwick value highly the views of all of its stakeholders, including pupils, parents staff and other community groups. Your views will be collected and considered and then the Board of Governors can make a final decision regarding the conversion from a maintained school to an academy. If following consultation the Board of Governors believes that this is indeed the best course of action to take, the school would submit an academy conversion application to the Department for Education. The Department for Education would consider the application and make a final decision as to whether to grant Sedgefield Hardwick an academy conversion order. Once the academy conversion order is granted it usually takes 4 months for the conversion to take place. We would anticipate the conversion being completed within this calendar year. How can you communicate your views? Submitting a consultation response form. You can return your consultation response form via post (addressed to the Board of Governors), pupil mail, or hand it in personally at Main Reception. Requesting an individual consultation meeting with the Headteacher and Parent Governor Representative. The consultation period will last from February 3rd 2017 to February 28th 2017. How will the Board of Governors respond to the views you raise or questions you may have? All views or questions you may have will be posted on this webpage. Following the view or question you will be able to view the response from the Board of Governors. This will be updated as views are submitted. We ask that when you submit your views, you supply us with an e-mail address. You will receive a personal e-mail from the Board of Governors to respond to the views that you have raised or questions that you have asked. If for any reason you wish to remain anonymous, your view or questions will still be published on the website with a response from the Board of Governors. Why is this the aim? Surely the aim of this school should be the education of the children at this school. I see no need to reach any further than this. How will a final decision be made? The Board of Governors determines (subject to DfE approval) whether to proceed to complete the conversion process. The Board of Governors of Sedgefield Hardwick Primary School needs to understand the views of parents, staff, students and the local community before we can make this decision. If the Board of Governors formally resolves to complete the conversion process for the school and the funding documentation in respect of the school is entered into by the MAT and the Secretary of State, the decision cannot be reversed. Mrs Clark had said she wanted to be a Single Academy Trust yet other board members I spoke with wanted to be 1st into a Multi Academy Trust. Which is the preferred option of the Board? Why not wait and see how things develop in your area, and revisit this decision later? What are the advantages of being 1st to form a MAT or a SAT? The Board of Governors has considered this move seriously over a period of time. It believes that in the current educational and financial climate, the move to be first to convert the school to academy status and to establish a Multi Academy Trust (“MAT”) would best protect the nature and ethos of the school and to lead our own future in the innovative way we have established. 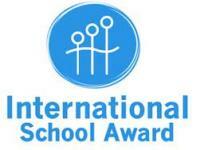 Does the school work closely with other Primary and Secondary schools at the moment? Why not work closely with Sedgefield Primary with a view to partnering with them in the future? Sedgefield Hardwick collaborates with many schools currently. 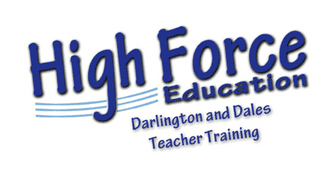 This is through our involvement in the High Force SCITT (Initial teacher training), at the request of other schools to support them in particular areas and with our geographically close schools, including Sedgefield Primary. We enjoy shared community projects with Sedgefield Primary such as joint teaching opportunities for the shared parade at the annual Mediaeval Fayre. These partnerships would continue. Why not stay as you are in LA and postpone any change? We cannot predict the consequence of not forming a MAT by 2020 in an ever changing political end educational landscape. The school could postpone any change and continue to be a maintained school under LA. However, on balance the Governors are concerned national policy is moving towards larger MATs and consolidation. Therefore, if we wait we are in danger of not having the opportunity to lead a MAT which the Governors feel strongly is in the best interest of Sedgefield Hardwick. Is the formation of a Federation not an option or not worthy of consideration? The Board of Governors considered all school constitutions and felt the establishment of a newly formed MAT best met our strategic aims and vision. The budgetary implications of federating were not cost effective. Which schools will be joining the MAT in the future? The Board of Governors ideally want to partner with other good and outstanding schools, for us to learn from one another and help us deliver an even better educational experience to our children and families. We believe that this would enhance our provision rather than dilute it. Any application to be a sponsor (supporting underperforming schools) would be very carefully considered against the capacity of staff across the schools. The priority will be the stability for our pupils and ways to further their successes. Does academy status affect the 30 hour nursery provision? No. Sedgefield Hardwick will offer the 30 hour nursery provision to those families who fulfil the criteria. Is Sedgefield Hardwick to partner with schools deemed by OFSTED as ‘Require Improvement’? Is Sedgefield Hardwick looking to partner with schools outside of the North East region? Not within the 3 year strategy plan as we feel this may outstrip our capacity when we take into consideration the logistics of partnership working, for example staff shared moderation sessions across the schools. We do believe however that a partner school with a contrasting socio-demographic to our own could have huge benefits in terms of promoting diversity and children building friendships with others from varied backgrounds. How many options are there to partner with specialist primary schools? In the Primary sector ‘specialist’ schools are rarely subject specialist i.e. Sports or Technology schools. We would use this term to describe schools who have a particular strength of niche. For example a school who have designated Special Educational Provision within a mainstream setting or are particularly innovative in their curriculum, encompassing the arts or sporting or technological achievements. There are many options available to partner with such schools and learn from one another, utilising each other’s strengths and formulating new ways of working to give all children the best educational experience. Will any partnership be with a specialised secondary school? Could a primary school still lead the MAT in this situation? Yes. There are examples in the North East where a Primary founded MAT are in negotiation with secondary schools to become part of their existing MAT. At this time our Board of Governors would seek to create a primary specialist MAT if the Academy application is submitted and then approved by the DfE. Why have some classes got so many children? Does children intake need to be managed more rigorously, especially with planning now passed for an additional 300 dwellings in the village? Currently the school admission process in managed by the LA. This includes the appeals process whereby a LA panel have the ‘final say’ as to whether children are admitted over our Pupil Admission Number of 30. This is often decided upon despite the school putting forward comprehensive reasons as to why admitting more children may not be manageable. The MAT would have control of its own Admissions Policy. The Board of Governors are committed to ensuring that Sedgefield Hardwick Primary School maintains its comprehensive and inclusive nature. All academies are bound by the national code of practice on admissions and we would work with the Local Authority on co-ordinating the admissions process with parents on an annual basis. In2 is effectively a charity, in which the school or the local government can benefit from any profits. If extra resources are required such as iPads for reception could these not be purchased out of that profit every year before the financial year end to ensure that all profits made from the school are spent on the school? The school and IN2 already enjoy a mutually beneficial relationship in terms of IN2 funding many experiences for pupils that would be unobtainable from within the school budget share. However we are also very mindful that it is important to sufficiently build and protect reserves made by IN2 for its own future plans in terms of purpose built facilities or more wide ranging opportunities for pupils. Which MAT option is Sedgefield Hardwick intending to Pursue? There are a number of options available and it is not clear which option is being consulted on? Is the intention to set up a new MAT with other schools? Set up an Empty or Shadow MAT? Set up a Single Academy Trust? Initially Sedgefield Hardwick Primary School will be the only school in the MAT. Please can you provide evidence of the current and expected expenditure if/when SH were to leave Durham Local Authority. A concern of ours is that due to the associated economies of scale (buying power) of the Local Authority you may find any extra money obtained may be quickly swallowed in unforeseen costs. This will be a central consideration in the due diligence activities that would result if a conversion application were to be made to the DfE. As a maintained school, central roles undertaken by the LEA, for example HR or payroll services are bought in via a Service Level Agreement. Academies have the freedom to choose to either buy ‘back in’ to LA services or opt to create a tender for external providers. A thorough review would be undertaken, examining the current cost and quality of services prior to any changes being considered. We believe that the freedoms that we would be afforded would allow us to seek best value and quality services in order to bring about efficiencies in these areas. The Board of Governors at Sedgefield Hardwick bring a wealth of skills and expertise and indeed contacts that can be utilised in undertaking this process. What is the consequence should Sedgefield Hardwick not form a MAT by 2020 as per the Government initiative? We cannot predict the consequence of not forming a MAT by 2020 in an ever changing political end educational landscape. The school could wait. However, the school has already been approached by two MATs to join their existing structure and on balance the Governors are concerned national policy is moving towards larger MATs and consolidation. Therefore, if we wait we are in danger of not having the opportunity to lead a MAT which the Governors feel strongly is in the best interest of Sedgefield Hardwick. As the village is set for demographic increases….how will Hardwick support the growth? The Board of Governors have considered the implications of academy status on the allocation of planning obligation monies resulting from local new development. This will form part in any due diligence activity if we proceed with an application to convert to academy status. We will negotiate both directly with any developers and with the Local Authority to gain clarity around this issue. It is not the Board of Governors intention to increase the Pupil Admission Number for the school in the 3 year strategy plan. We value the community feel of the school and being able to get to know our families well. This is not something we wish to loose should the school convert to an academy. At this current time however we are at full capacity would like to explore how additional funding may be accessed to create additional facilities to further enhance the educational experience for our pupils. What would be the timescale for other schools joining the MAT? It is our intention that at least one other school would join the MAT within year 1. This may well be determined by the DfE upon application ie it may be a caveat of approval. Would joining schools be staggered over a period of time, or could 2 schools join at once? Circumstances may dictate that 2 schools join the MAT at the same time, however, the Board of Governors will assess how much capacity we have to undertake this on a case by case basis as part of their due diligence procedures. As the MAT grows would there be a cap on the number of schools? There is no explicit ‘cap’ figure at this stage. Any partners will be assessed against their core principles and the value that they can ‘add’ to the trust. Again, this will also centre around current capacity. Would our MAT eventually swallow smaller MATs? This is not the intention, however there are many National examples of MATs now working in collaboration with one another to achieve further economies of scale and strengthen partnerships. As the leader school will Sedgefield Hardwick have a responsibility to support underperforming schools and if so how will this be managed? An essential part of well-performing schools converting to academy status is agreeing to support another schools. The Board of Governors ideally want to partner with other good and outstanding schools, for us to learn from one another and help us deliver an even better educational experience to our children and families. We believe that this would enhance our provision rather than dilute it. Any application to be a sponsor (supporting underperforming schools) would be very carefully considered against the capacity of staff across the schools. The priority will be the stability for our pupils and ways to further their successes. Will the management team have agreed to a minimum contract length if the conversion takes place? At this current time the full senior leadership team, including Governors are fully committed to realising the 3 year strategy plan. This has been discussed at length and such a plan would not be considered if there was any doubt around leadership stability. Is there any plans to extend Sedgefield Hardwick to accept more pupils and if so, what will this look like? Although the MAT would have control of its own Admissions Policy, the Board of Governors are committed to ensuring that Sedgefield Hardwick Primary School maintains its comprehensive and inclusive nature. All academies are bound by the national code of practice on admissions and we would work with the Local Authority on co-ordinating the admissions process with parents on an annual basis. How will new roles resulting from academy status, ordinarily undertaken centrally by the LEA, be undertaken? As a maintained school, central roles undertaken by the LEA, for example HR or payroll services are bought in via a Service Level Agreement. Academies have the freedom to choose to either buy ‘back in’ to LA services or opt to create a tender for external providers. A thorough due diligence would be undertaken, examining the current cost and quality of services prior to any changes being considered. We believe that the freedoms that we would be afforded would allow us to seek best value and quality services in order to bring about efficiencies in these areas. The Board of Governors at Sedgefield Hardwick bring a wealth of skills and expertise and indeed contacts that can be utilised in undertaking this process. Can the conflict between inward and outward looking elements of the 3 year plan that have guided this academy proposal be removed? Rather than being in conflict with one another, we believe that all 3 service areas are intrinsically linked and provide a platform (financially or otherwise) for the other to exist. We hold at the heart of our actions the need to safeguard against potential risks of over commitment which results in a detrimental impact upon the outstanding education for pupils at Sedgefield Hardwick. Have the Board of Governors considered the implications of academy status on the allocation of planning obligation monies resulting from local new development? This is something that the Board of Governors will consider carefully in any due diligence activity if we proceed with an application to convert to academy status. We will negotiate both directly with any developers and with the Local Authority to gain clarity around this issue. Why is there a focus on meeting the demand for school places? It is not the Board of Governors intention to increase the Pupil Admission Number for the school in the 3 year strategy plan. We too value the community feel of the school and being able to get to know our families well. This is not something we wish to loose should the school convert to an academy. At this current time however we are at full capacity would like to explore how additional funding may be accessed to create additional facilities to further enhance the educational experience for our pupils. Why is there a focus on the potential to increase salaries to fund staff retention? The focus around staff retention is more about providing teachers and teaching assistants with opportunities to further develop through partnerships and leadership opportunities. This would not be at the detriment on missing out on new and diverse talent. We are a lead school with the High Force SCITT (Initial teacher training) and are passionate about continuing to provide individuals with solid foundations at the beginning of their careers. How would academy status impact school admission policy? Can the school’s three year plan incorporate short, medium and long term goals? Yes. A fully comprehensive strategy plan will incorporate short, medium and long term goals. The constitution of the school (ie maintained or academy) will determine the action planning process. Which other schools are anticipated to follow? What is meant by a requirement to help other schools? Would the Governors/SLT be able to provide assurance that the financial gains from becoming a MAT be spent on or directed to the ‘coalface’ – classroom/teaching and learning – rather than to additional administrative support? Many Academies do have a strong business ethos. This is one of the reason our Board of Governors feel strongly that we must lead a MAT to ensure that our focus remains on our children and uses the freedom and flexibility it affords wisely and for the benefit of our children. Why has it not been made public knowledge about who the other schools in the MAT will be? Are there any other local schools considering the formation of a MAT? At this time there are no named schools who are intending to join the MAT. There would be a thorough process of due diligence to complete before undertaking any partnerships. The Board of Governors are clear that any growth plans would be cautious and measured. Our selection criteria would be centred around an assessment of how the partnerships can be mutually beneficial. Will the length of the school day change? Will term times change? Will school holidays be decreased? Will additional teaching days be added? The school would continue to set the school year and holidays in the context of other local schools. At present there is no intention to change the length and timing of the school day. Will PPA for teachers continue? Yes. Teachers will still be entitled to 10% of their timetabled teaching time out of class to complete planning, preparation and assessments. Will pay for staff stay the same as now? Currently, all staff working at Sedgefield Hardwick Primary School are employed by the Local Authority. On conversion, staff contracts would transfer to the MAT. This takes place within the Transfer of Undertakings (Protection of Employment) Regulations (TUPE), which ensures that staff would retain all of their existing terms and conditions. Pension arrangements are preserved by the funding documentation between the MAT and the Secretary of State for Education and the Commercial Transfer Agreement between the school, the MAT and the Local Authority. The TUPE regulations provide that the current employer’s “rights and obligations arising from a contract of employment existing on the date of transfer shall, by reason of such transfer, be transferred” to the new employer. This means that the school is bound to the existing terms and conditions. On conversion, all staff who are currently members of the Teachers’ Pension Scheme and the Local Government Pension Scheme will remain members with the same benefits as before. How hard is it to turn back if you discover it is not for the good of the children at Sedgefield Hardwick Primary? Schools are able to withdraw right up until the point that they sign the funding agreement. Once this is signed, there is a legally binding agreement between the Secretary of State for Education and the MAT. This decision cannot be reversed or cancelled for 7 years. Can you guarantee that unqualified teachers would not be teaching my child? Will the educational focus of the school still be on the core subjects? Yes. We have worked extremely hard to establish a consistent and progressive curriculum whereby skills are instilled, the curriculum inspires pupils and they are given the opportunity to be innovative in leading their own learning. This would remain the case. Will there be any extra contribution expected from parents in terms of fund raising events being more regular? We are very fortunate to have such an active PTA who raise additional funds for the school, providing extra opportunities for children such as the whole school trip to the Christmas pantomime and new outdoor play resources. We do not expect that this would increase and the PTA work hard to ensure that they are not expecting too much too often by way of parental contributions. Will the school still follow the National Curriculum? Yes. The school will continue to follow DFE requirements and apply our underlying principles of instil, inspire, innovate to ensure we continue to reflect in the curriculum our pupils, ambition, ability and creativity. We have worked extremely hard to establish a consistent and progressive curriculum whereby skills are instilled, the curriculum inspires pupils and they are given the opportunity to be innovative in leading their own learning. This would remain the case. We will also continue to focus on both academic and social and emotional learning to ensure our pupils are resilient and well prepared for their next stage. In the future there may be opportunities for staff to learn from one another across the MAT. This would be carefully managed and planned so that the consistency and continuity for pupils is not in any way disrupted. Why is this the aim of the school? Since 2012 it has always been our aim to have a far reaching and long lasting positive influence on the lives of young people. You may have not seen it worded in this way but the Board of Governors are keen to emphasise that this vision is about ‘evolution’ rather than ‘revolution’ in contrast to the necessary changes that had to be made in 2012. Yes part of the vision aims to have a far reaching impact but that is in no way in conflict with the basic principle of providing the very best educational experience for pupils at Sedgefield Hardwick. We believe that it in fact complements this. With strong partnerships, children at Sedgefield Hardwick can have increased diversity, learn from the latest teaching initiatives and curriculum designs and this will be continually refreshed. Is the nature and ethos of the school under threat? Not currently. However, we believe that although there seems to be a ‘backtrack’ on the Government’s agenda for all schools to become academies, the Department for Education are still driving this as their vision. Although we cannot predict the future, we want to ensure that we safeguard all of the current practises here at Sedgefield Hardwick by creating something of our own, rather than finding ourselves in a position where we have to consider joining existing MATs which may or may not share our core principles. Will the efforts in educating the children at this school be diluted by the need to support other schools? Initially, The Board of Governors ideally want to partner with other good and outstanding schools, for us to learn from one another and help us deliver an even better educational experience to our children and families. We believe that this would enhance our provision rather than dilute it. Any application to be a sponsor (supporting underperforming schools) would be very carefully considered against the capacity of staff across the schools. The priority will be the stability for our pupils and ways to further their successes. Who has the final say? The parents, head teacher or local council? Following reviewing the feedback from all stakeholders the Board of Governors will make the final decision on whether to proceed or not. If every parent/pupil/staff feedback was negative would the Governors scrap the idea? The Board of Governors’ responsibility is to ensure that the best possible education is provided in a safe and encouraging environment as such we take the views of all stakeholders very seriously. Can the school wait until 2020 to see if Government policy changes? The school could wait. However, the school has already been approached by two MATs to join their existing structure and on balance the Governors are concerned national policy is moving towards larger MATs and consolidation. Therefore, if we wait we are in danger of not having the opportunity to lead a MAT which the Governors feel strongly is in the best interest of Sedgefield Hardwick. Designing own curriculum is a massive negative, why would you do this? The school will continue to follow DFE requirements and apply our underlying principles of instil, inspire, innovate to ensure we continue to reflect in the curriculum our pupils, ambition, ability and creativity. Sedgefield Hardwick is already a good school, why would it want to share its staff and interests with lower performing schools? Sedgefield Hardwick is an excellent school, demonstrated by it being ranked in the top 10% of schools nationally. 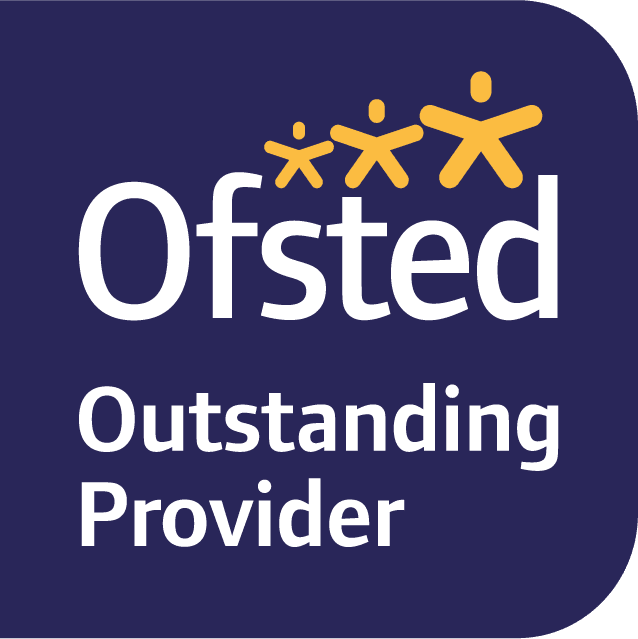 The Board of Governors believe strongly that this is as a result of the talent within the teaching, clerical and support team. Talented people by their nature are usually ambitious to further their experience and career. If we can provide opportunities to grow their experience and skills within a well-considered professional development plan, which may result in working in other schools for manageable periods of time, we have a much better chance of retaining that talent. This already happens within school but is mainly dictated by the local authority, the Governors believe we would be able to plan and control this activity much more constructively as a MAT. Why do we have to do it, I just want to send my kids to school to learn, is this MAT just complicating things? Children’s education is paramount and we have worked hard to ensure that we can make this transition smoothly. We hope that our plan will result in little noticeable difference on a day to day basis and put simply parents, children and stakeholders will see our continued development and progression in all that we do. Is a MAT just a money saving thing for government? We understand the concerns around the government’s policy regarding academies. However, we believe that rather than attempt to influence this we need to ‘work within it’ and ensure we apply it in a way that continues to underpin our ethos and standards. Our Board of Governors and broader team are exceptionally clear that we are motivated by one thing – providing and exceptional educational experience for young people. Academies are basically businesses; a MAT would be run as a business so would this affect the focus on education? Would it affect Sedgefield Hardwick? Will support staff be cut overtime? Terms of employment will be protected according to TUPE (Transfer of Undertakings (Protection of Employment) this is a formal regulation and piece of employment law. Will budgets be cut if the school becomes a MAT? Quite the opposite. Our funding will come directly from the DfE rather than via the Local Authority who each year consider if they wish to retain some of our budget for core county wide initiatives or services. An example is in 2016 £15,000 was removed from all primary school budgets across the county due to issues with result in Key stage 3 which is the first years of secondary schooling. Who will run the MAT? The existing board of Governors will become Trustee’s of the MAT two of which will also become the Members. Sally Newton is Chief Executive designate which means that if we proceed Sally will be appointed as Chief Executive of the MAT. It is anticipated that the Head of school for Sedgefield Hardwick will be appointed following a restructure of the current leadership team. The school is high performing and doing well why change it? In order to apply the ethos and approaches that we have led us to being a school of choice and in the top 10% nationally the Board of Governors believe we must retain as much influence over what happens in our school as possible. Does this consultation matter, or is it a done deal? The Board of Governors would not have put this proposal forward if we didn’t feel it was an approach which would benefit the school. We have considered it carefully for approximately 12 months including observing the political and broader education environment. The Board have engaged in this consultation process as our role is to ensure standards continue to rise for all pupils and their families. Therefore, the views of parents, pupils and staff as well as extended stakeholders are essential. Will TA’s be in a worse position? As a MAT the school will have the ability to consider how it can best secure, retain and reward the talented team we have now as well as new team members in the future. It will need to operate within education and employment law but not county wide initiatives and policies designed by the Local Authority. Will the MAT move money from the national curriculum? Our investment in the curriculum would continue to be a top priority and all things which enhance the experience for our young people. Will the current teaching team stay if the school became a MAT? We have an ambitious and talented team here at Sedgefield Hardwick and it would be wrong of us to take anything for granted. We firmly believe that if we can provide clear progression pathways for that talent and opportunities to grow skills and experience we will continue to enjoy the benefits of having this talented team. Will Mrs Newton leave or will she be part of the MAT even CEO? If Mrs Newton leaves will Mr Taylor become the new head? Will existing staff be protected? What is the rush and why is the consultation and process so quick? If the school becomes a MAT does this mean the teachers get moved around and our children get less capable teachers? How will the Board communicate the outcomes of consultation? At the conclusion of the consultation process (February 28th 2017), you will receive a Consultation Summary which will report both quantity and details of feedback received by the Board of Governors during the consultation period. The Consultation Summary will provide a balanced overview of all views and inform you of what the Board of Governors final decision is with regard to the proposed conversion of Sedgefield Hardwick from a maintained school (currently under the control of Durham Local Authority) to an academy, as a lead primary school in a newly formed Multi Academy Trust.